Dr. Paul Offit is the director of the Vaccine Education Center, a professor of pediatrics in the Division of Infectious Diseases at The Children’s Hospital of Philadelphia, and the co-inventor of the rotavirus vaccine. He wrote several books about the importance of vaccines and clarifying their risks, which are often misunderstood. For example, the anti-vaccination movement insists that the MMR vaccine causes autism. However, that relationship has already been analyzed scientifically, and we know it’s wrong. 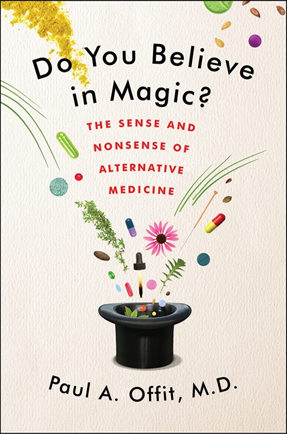 In his book Do You Believe in Magic?, Offit makes a critical analysis of alternative medicine and the use of large doses of vitamin supplements. It’s important to raise the awareness about vitamin supplements. An unregulated industry claims that vitamin supplements prevent disease. However, several studies1,2,3 say most supplements do not prevent disease and some, such as vitamin E and beta-carotene,4 can increase the risk of cancer and mortality. 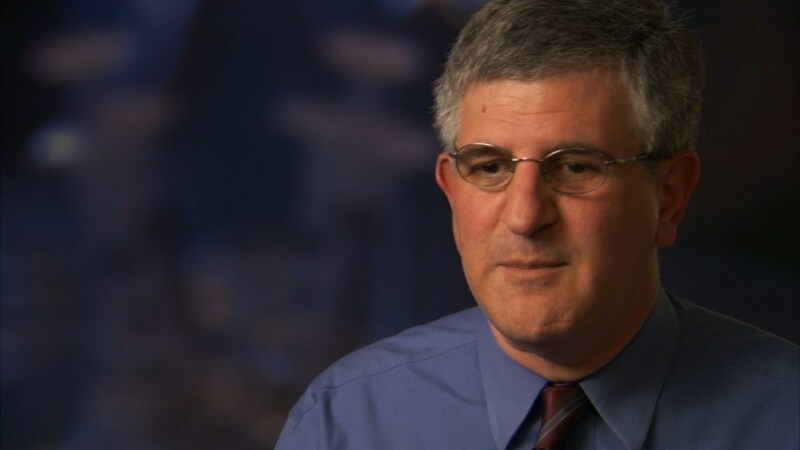 Paul Offit’s website is at www.paul-offit.com. Felipe Nogueira: Can you pinpoint when the anti-vaccination movement started? Paul Offit: I think it started with the first vaccine. The smallpox vaccine was developed by Edward Jennen in the 1700s. There was violent opposition to the vaccine in the early 1800s because that vaccine was mandated. I think the professional anti-vaccine people, such as National Vaccine Information Center, Moms Against Mercury, Safeminds, and Generation Rescue, will say they would stop their anti-vaccine efforts if you simply make vaccines optional. Nogueira: What exactly is the risk of Guillain-Barré syndrome5 (GBS) after influenza vaccine? Offit: We can say with confidence that the 1976 swine flu vaccine had a risk of GBS in one per 100,000 who were given the vaccine. It’s not clear that since then any vaccine causes GBS. The CDC and other groups that tried to categorize this always say that we cannot say it is more common than one per million. The people are left with this vague notion that the vaccine might cause GBS, but since the 1976 swine flu vaccine there is no clear evidence that it has. Nogueira: If a vaccine causes a symptom, usually the disease the vaccine tries to prevent causes the same symptom. Can you clarify? Offit: The best example is thrombocytopenia, which is low platelets level. There are a couple of studies, and they all have been consistent and reproducible: the measles vaccine causes thrombocytopenia in one per 25,000–40,000 recipients. A measles virus also causes thrombocytopenia, but it is far more common. Another example: from eight to twelve days after receiving chicken-pox vaccine, one can get a mild chicken-pox rash with as few as five blisters, but sometimes as many as thirty blisters. But chicken-pox natural infection can cause 300 to 500 blisters. Nogueira: Knowing that the MMR vaccine does not cause autism, how dangerous is it to widely spread information not corroborated by science? Offit: I think once you scare people, it’s hard to un-scare them; once you open the Pandora’s Box, it’s hard to close it. The question was raised by Andrew Wakefield in 1998 with his publication in The Lancet, which wasn’t a study. It was a simple case series: eight children who had received the vaccine developed symptoms of autism within one month. There are now seventeen studies, looking to a large number of people who did and didn’t get the vaccine to answer the question: “Are you at a greater risk of having autism if you receive MMR vaccine?” The answer has been very reproducible: no. I think people are far more compelled by anecdote than they are by statistics. If Jenny McCarthy gets on Oprah and says, “I watch my son get this vaccine, I watch his soul leave his eyes” and she cries, that’s very compelling. A scientist on the show would say, “Fair question: Could the vaccine cause autism? Is this a causal effect relationship, or is it just a temporal effect?” This is a scientific question, and it has been answered in a scientific venue. But how do you trump the anecdote with science? The media became critical, and they’re not great at it. Nogueira: Moving into vitamin supplements, when did this idea begin? Offit: We need vitamins, no doubt about it. If we don’t get enough of them from diet, we suffer diseases such as pellagra, scurvy, and rickets.6 But we’ve crossed the line from a certain amount is good to therefore more would be better. That’s not true. Once you’re above the protective levels, you don’t need more than that. And I think the “big push” for supplements came in the 1970s with Linus Pauling, who won Nobel Prizes in Chemistry and Peace. He was a strong voice and used that platform to push vitamin supplements. Some of the earlier supplements were called Linus Pauling vitamins. Nogueira: What about the risks of taking vitamin E? Offit: What amazes me about the vitamin E story is that there is a preparation of vitamin E that said “natural E 1000.” If you look on the back label, it said that it had 3,333 percent of the recommended daily allowance. You would have to eat about 1,650 almonds, which are a good source of vitamin E, to get the same amount from one gel capsule. That’s not a natural thing to do. And if you take large doses of vitamin A, E, or beta-carotene for a prolonged period of time, you increase your risk of cancer and heart disease and potentially shorten your life. Those data are clear; there are twenty studies now that show that. Nogueira: There is an article discussing that laboratory cut-off values for vitamin D might not be evidence-based. What can you say about it? Offit: You’re right. Suddenly in the United States, everybody has become vitamin D deficient. Certainly, it’s not because there’s been an outbreak of rickets; that hasn’t happened. It’s because of serum tests. I think what are considered normal values are not validated. Because of incorrect levels, all my friends tell me their doctors prescribed vitamin D for them. I like to think this is a fad and will pass in a few years, because we’re doing no good and potentially some harm. Nogueira: Do you think there is enough evidence for vitamin D supplementation to prevent falls or fractures? Offit: The U.S. Preventive Services Task Force (USPSTF) had at one point supported the use of vitamin D specially to prevent osteoporosis. The bone gets thinner in older people, so when they fall, they’re more likely to have fractures. Postmenopausal women are more likely to have these fractures. Then, vitamin D was recommended, since it helps to increase the uptake of calcium in the intestinal tract. However, with more data available, USPSTF does not recommend it anymore, since there is no clear evidence that postmenopausal woman or older people benefit from the intake of vitamin D or calcium. Nogueira: Where do you think this notion that vitamin supplements are natural came from? Offit: I give credit to the industry, which has been able to sell itself as natural. The nutraceutical and dietary supplements indus­try sell its supplements as “all natural, it can’t hurt you and it’s being made by old hippies.” This is not true. Pfizer and Hoffman-LaRoche are major players in the dietary supplement game. It’s an unregulated industry with no obligation to support its claims. And, in the United States, they have enough political influence to keep the FDA away from regulating them. Also, it’s very hard to be vitamin deficient; everything is supplemented. For example, it’s hard to suffer from folic acid deficiency in the United States, because grains, cereals, and pastas are supplemented with folic acid. Nogueira: Your latest book is Bad Faith. What’s it all about? Nogueira: Have you planned a next book? Offit: I have a new book coming out in April 2017. The title is Pandora’s Lab: Seven Stories of Science Gone Wrong. It’s about scientific discoveries that changed the world for the worst. Nogueira: Thanks for this thoughtful interview. Fortman, S., et al. 2013. “Vitamin and Mineral Supplements in the Primary Prevention of Cardiovascular Disease and Cancer: An Updated Systematic Review for the U.S. Preventive Services Task Force.” Annals of Internal Medicine 159(12): 824–834. Guallar, E., et al. 2013. “Enough Is Enough. Stop Wasting Money on Vitamin and Mineral Supplements.” Annals of Internal Medicine 159(12): 850–851. Autier, P., et al. 2014. “Vitamin D Status and Ill Health: A Systematic Review.” The Lancet Diabetes & Endocrinology 2(1): 76–89. Bjelakovic, G., et al. 2012. “Antioxidant Supple­ments for Prevention of Mortality in Healthy and Patients with Various Diseases.” The Cochorane Library (March). Guillain-Barré syndrome (GBS) is an autoimmune disease that attacks nerve cells causing muscle weakness and often paralysis. According to the CDC, approximately 3,000 to 6,000 people develop GBS each year in the United States. Infection by Campylobacter jenuni, influenza, and other infections are risk factors for GBS. More recently, countries with the zika virus outbreak reported increased numbers of GBS cases. For more information, visit the following CDC page: http://www.cdc.gov/flu/protect/vaccine/guillainbarre.htm. Pellagra, scurvy, and rickets are caused by deficiency of niacin (vitamin B3), vitamin C, and vitamin D, respectively.